There is a common misconception that you really only have to worry about heating and cooling costs as the season’s change, but the fact is that there are plenty of things you can do to lower your power bill regardless of what season it is. Listed in this article are some tips to help you save a few bucks (or more) all year round through energy conservation and energy efficiency tips. Be sure to comment below and leave your favourite energy saving tips! Rather than using your dryer for every load of laundry you’ve got, try air drying some, particularly the bulkier, heavier things like sheets, blankets, and towels. 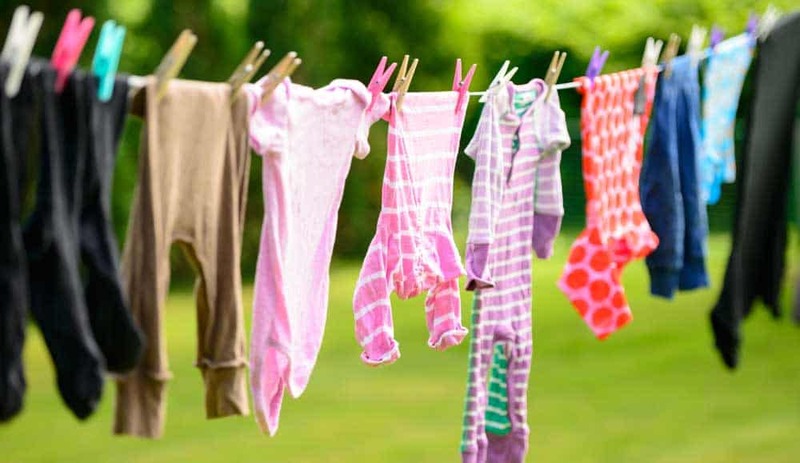 As Mary Marlowe Leverette of The Spruce points out, opting not to use a dryer for every load of laundry can potentially save households in North America up to $200 a year. If you’ve got an old TV you’re not using but is still plugged in, it’s costing you up to 10 dollars a year, the staff of Power Smart explains. Why not recycle it or donate to get rid of that unnecessary charge? Check with your utility company to see if they have time-of-day pricing plans. These plans will give you lower rates for using electricity in the off-peak hours. Utilizing these plans can halve your electricity rates, so it only makes sense to check them out. A fixed rate plan is fairly self-explanatory: it gives you a fixed rate for the electricity you use per kilowatt hour. This type of plan makes it easier to budget your utility costs. Additionally, with a fixed rate plan you’ll see fewer price spikes on your bill. Smart plugs are a great way to cut down on unnecessary electricity usage. They work by allowing you to control when the devices plugged into them are turned on or off, whether by a predetermined timer or through remote input. Some smart plugs will even track the electricity usage of the devices plugged into them, making it easier to budget. Trying to figure out how much electricity every device in your house uses is a big undertaking. Instead, you can choose to tap into your circuit breaker, which is the hub of all electricity in your household, for more information. Add a device such as Neurio or Ecoisme (both recommended by the experts of Energy Sage) to your circuit breaker in order to get a very clear picture of power usage in your home and get real-time power-readings. A blower door test helps to determine how much air infiltration there is in your home. It involves a machine that tests to check the airtightness of all house doors. As the experts at the Department of Energy explain, blower door tests can reduce a household’s energy consumption due to any air leakages that are found. This can equate to an energy saving of approximately five percent. Any shingles that are damaged badly should be repaired or replaced as soon as possible. Left unattended they can negatively affect the amount of heat your roof absorbs and as such, may lead to a higher utility bill in the colder months. Using shingles rated by Energy Star could even potentially get you tax credit. If you’re looking on other ways to cut down on your utility bills, consider buying a shower head adapter or shortening the length of your showers. The Washington Post describes it best: switching to an EPA approved showerhead can save households up to 2,900 gallons of water a year, which also equates to an annual amount of 379 kilowatt hours. You can significantly reduce your home’s energy loss by insulating behind all of your electrical switches and outlets. What’s more, you can seal any unseen air drafts as well. Spray foam works great for this, but you can also make do with rigid foam as well. There are also socket sealers you can purchase for this very use. This is a very cheap home repair you can do, with a total cost of about one dollar per outlet/switch. As mentioned in the tip above, using foam gaskets to seal your home’s electrical boxes can save you money by sealing any air leaks. This is also cheap and easy to do by yourself. Water conservation goes a long way toward reducing the cost of your utility bills. In fact, leaving the water running while you brush your teeth can amount to as much as 200 gallons per month wasted, says Carla Davis of Sustainability. To cut back, fill a cup with water and use that for rinsing instead. Another way to reduce your household water consumption – and power usage – is to install a water saving kit. Low-flow high-efficient plumbing devices can save you approximately $100 a year in electric water heating costs and $70 a year in gas water heating, says the editorial staff of Conservation Mart. If your garage door is frequently opening and closing, you’re letting a lot of warm air escape while letting cold air in. To cut down on heating costs, use the actual front door to your house instead. One of the best ways of determining if your house needs some attention in order to improve energy efficiency is to hire an energy auditor. An energy auditor will conduct an examination of your home room by room, examine your utility bills to determine energy usage, and perform blower door and thermographic tests. Using the results of the energy audit, you can take steps toward ensuring that your home is an energy efficient as possible, which can lead to financial savings of nearly 15 percent, according to Dan Rafter of Wise Bread. Many utility companies offer account alerts to notify you about your energy usage, allowing you to adjust your usage accordingly in order to cut down on consumption. If you’re looking for a convenient way to monitor and manage your electrical account, give the Reliant app a try. Provided you have compatible devices, the app also allows you to adjust your thermostat when you’re not home. 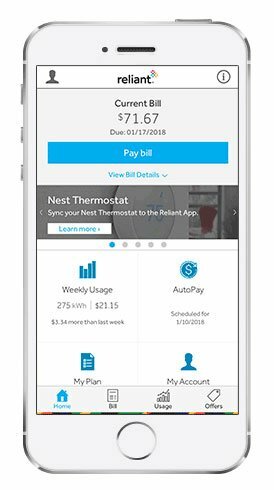 The most beneficial part of the app is that you’re able to track your utility usage, bill projections, plan details, and payment information. Placing a fluffy, dry towel into the dryer along with a load of wet laundry can speed up the drying process. However, it’s only truly effective if you remove the towel after about 20 to 30 minutes. If you don’t, the towel will actually add to the moisture in the dryer and extend the drying process. Place a piece of tin foil under your ironing board. Doing so will reflect the heat, meaning you only have to iron one side of your clothing for the full effect. Put your clothes away the moment they come out of the dryer to reduce wrinkles. Hang as many articles of clothing to dry as possible. Point-of-use surge protectors operate between the wall outlet and your devices. They cut down on what’s known as “vampire power,” which is electricity drained by devices when they aren’t in use but are still plugged in. In the U.S. alone, vampire power costs consumers nearly three billion dollars a year, points out Robert Lamb of How Stuff Works. A point-of-use surge protector allows you to cut the power to numerous devices at once, cutting back considerably on vampire power. It’s important to clean your vacuum cleaner on a regular basis. This is because if the filter becomes clogged it has to work harder to do its job, which means that it’s consuming more electricity to do so. Be sure to keep up with vacuum maintenance so that it doesn’t become an unnecessary energy drain. The color you choose to paint the exterior of your home can go a long way toward improving energy efficiency. Dark colors can absorb nearly 90 percent of the sun’s radiant energy, which means that lighter colors make a better choice in order to keep a house cooler in a hot climate. If running an air conditioning unit is a huge chunk of your utility bill, choosing a lighter exterior color could help to remedy that. Even if your devices are fully charged, they’re still consuming electricity. This includes things like your e-reader, your tablet, or your laptop. In order to limit energy usage, be sure to unplug electronics when you’re done using them. Depending on where you live, utility companies may offer different electricity rates during off-peak hours, which is usually at night. All you need to do is call your utility company and inquire about these rates and the time frames they are available. Once you’ve got that information, you can reschedule your chores such as laundry or using the dishwasher for off-peak hours in order to save money. It’s pretty easy to determine which habits of yours are the ones that cost you the most money in regards to utility usage. If you come home from work and spend hours watching TV and surfing the Internet, you’re running up your electricity bill. Consider changing your consumption habits in order to cut down on your utility costs. If you’re looking to prevent unnecessary heating costs in the colder seasons, it’s not a bad idea to use a heat gun (also known as an imaging infrared thermometer) in order to locate areas of heat loss in your home – which is usually around the windows and doors. If your heating bills are through the roof in the colder months, it might be time to add insulation to your attic. This can reduce heat loss and cut down on your heating costs. This is particularly pertinent if most the people in your household use mobile phones and use streaming services like Netflix or Hulu. Ditching the landline and cable can cut way down on your monthly bills. You don’t need to leave lights on throughout out the house. Instead, limit the lights you leave on to the room you’re currently occupying. This will cut down on your energy consumption. To make sure your dryer is running at peak efficiency, be sure to regularly clean the filter and straighten exhaust hose/duct. Choose insulated fiberglass doors. Aesthetically they can look just like regular wooden doors, but are five times more energy efficient. Insulating your crawl space area will save you money in the long run, which is why it’s important to consider sealing your home’s sill plates or rim joists. This not only provides extra insulation for your home, but also helps to control unwanted moisture. Choosing to sweep your driveway and sidewalks clear of debris is a far more cost-efficient choice than hosing them down with water. The only downside (and it’s a minor one!) is that it just might take a little longer. As the writers of Reader’s Digest point out, keyholes are a source of a mini draft in your home. Purchase a keyhole cover in order to eliminate that draft to keep your house warmer. Solar panels generate their own electricity, which obviously means that you’ll see a huge change in your power bill if you opt to use them. That said, they are an investment. Additionally, they’ll be more effective in a location that has a high amount of sunlight hours per day, such as California or Arizona. 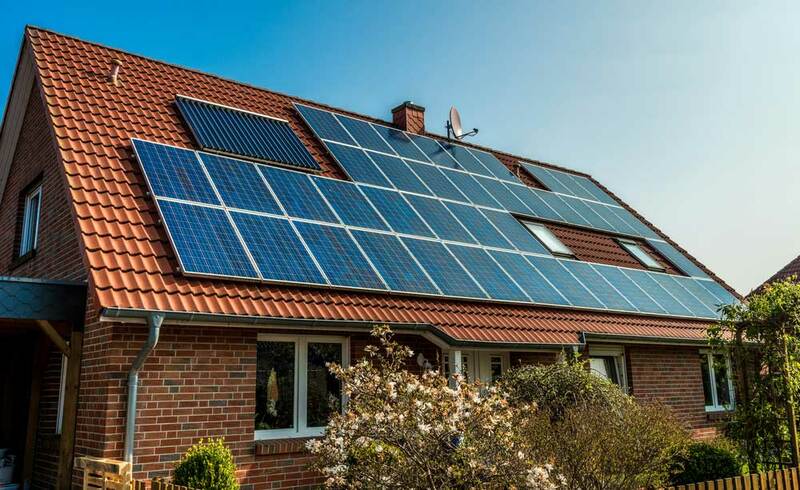 Installing solar panels can qualify you for a federal tax credit, explains Lauren Schwahn of Nerd Wallet, which lets people claim 30 percent of the installation costs. As the U.S. Department of Energy explains, a “cool” roof is one that has been designed to reflect light and heat rather than absorbing them. This is known as the “albedo effect.” A cool roof can stay as much as 50 degrees Fahrenheit cooler in summer temperatures than an average roof, which can in turn significantly reduce the cost of cooling your home. If replacing your entire roof isn’t financially an option, you can invest in a reflective roof coating that will reflect UV rays and heat back into the atmosphere. The bigger your home, the more money it will cost to keep it cool or keep it heated during the hottest/coldest months. Living in a modestly sized home will pare down your utility costs by a considerable amount. As the professionals of Energy Saver have pointed out, the heat gain/heat loss of regular windows can be responsible for as much as 25 percent to 30 percent of heating and cooling costs in some homes. Replacing existing windows with energy efficient ones is a smart investment, as it can reduce those numbers considerably. Voltage optimization systems regulate the supply of energy entering your home. Explain That Stuff! 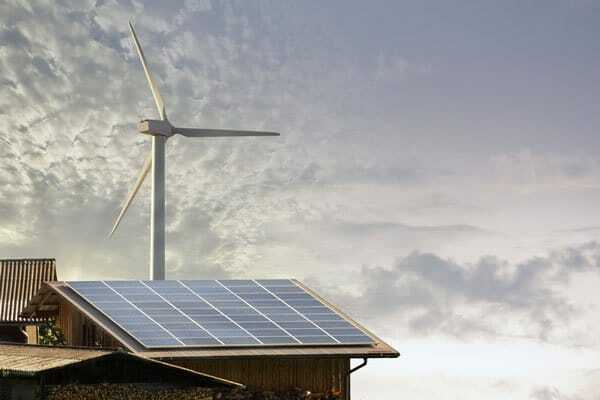 describes, they provide you energy savings of 20 percent and as a result, pay for themselves over a period of two to three years. Aside from being a clean and renewable energy source, windmills also have low maintenance costs. A smaller wind turbine can provide enough electricity to power a four person household with wind speeds as low as 10 miles per hour, says Vanessa Bates Ramirez of Singularity Hub. Utilizing a turbine will lead to a drastic decrease in energy bills and also cuts down on your carbon footprint. The ideal thermostat setting in your home is between 75 and 78 degrees Fahrenheit. Every degree you raise the thermostat can lead to potential energy savings of five percent. Air conditioners with high Seasonal Energy Efficiency Rations (SEERs) – such as 13.0 and above – provide the greatest energy efficiency. Putting a ventilating fan in an upstairs window or in the attic helps cool your home by dissipating hot air. 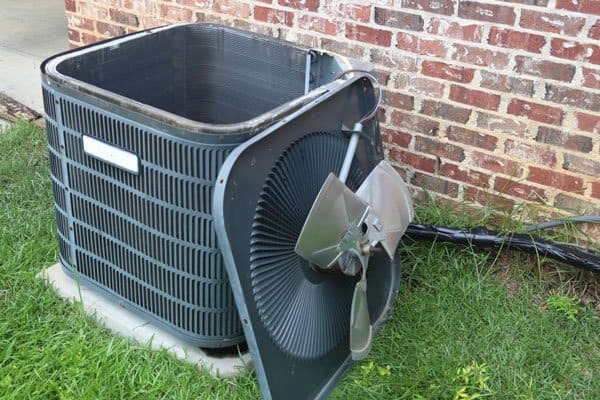 This will save you money in the long run by cutting down on your other cooling costs. Doing this won’t make your AC unit cool things down any faster. It will, however, use more electricity. Using both a ceiling fan and AC at the same time can raise your thermostat by four degrees without producing a noticeable change in comfort says the writers of Angie’s List. This means that your AC system will be consuming less electricity but your house will still be cool. 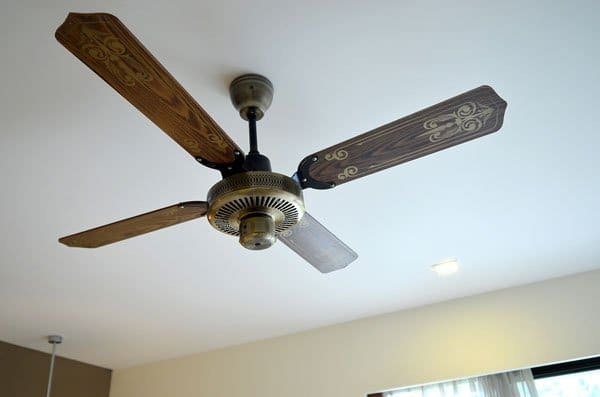 There are ceiling fans to suit every home. In order to make sure your air conditioning system is working as it should be, it’s important to clean the condenser coil once a year. Make sure the unit is powered off and then wash the coils on a low pressure setting to remove any accumulated dust, dirt, leaves, and grime. Sealing any cracks found in your ductwork will minimize energy loss and in doing so, save you money on your power bill. Ducts that continuously leak heated air into unheated spaces have the potential to run up your power bill by hundreds of dollars a year, say the professionals of Energy Saver. Lights are a heat source. While they heat they give off may seem minuscule, in the hottest months, it can contribute to making your house feel unbearably hot, which can lead to more energy consumption through air conditioning. In the summer, only leave lights on if necessary. An AC unit that’s too big for the room it’s in will increase the humidity by an undesirable amount in addition to consuming unnecessary amounts of electricity. A unit that’s too small for a room will never be able to cool it down to the desired temperature. For more energy efficient cooling, make use of trees and shrubs to shade your AC unit. This will keep it from working overtime when the temperature outside really starts to soar. Isolating the temperature in rooms you don’t regularly use can lower your household’s energy consumption. If only using a couple rooms in the house on a regular basis, manage their temperature and regulate the temperature of every other room. Avoid placing items like televisions or lamps next to the thermostat. The heat they emit can cause the air conditioner or furnace to run for longer than it actually needs too. The automatic setting means the HVAC/AC fan will only blow when heating or cooling the air. Once the desired temperature is reached, the fan shuts off. Opposed to leaving the fan running constantly, the automatic setting will provide you with reduced energy costs, says the writers of Cool Today. An accumulation of dust and dirt in your HVAC/AC system can lead to an unnecessary increase in energy usage. Prevent this from happening by making sure to clean the system every 30 days. While cleaning, always make sure to check the air filter. A dirty air filter only lets more dirt and debris enter the system. Leaving vents closed can lead to a build-up in air pressure if your HVAC/AC system uses a variable motor. To compensate, the motor will use more energy in order to increase air flow. In doing so, it’s using more electricity. Leaving all vents open means the motor will run normally and won’t cost you extra in the long run. It’s important to keep checking for leaks in the highest and lowest parts of your house. Leaks will lead to insulation getting wet. Once it’s wet, it’s no longer effective at insulating your home and what’s more, it conducts electricity instead of repelling it. Wet insulation will lead to an increase in heating and cooling costs year round. Covering the outdoor unit of a central air conditioner will protect the unit from the hazards of winter weather and debris. Dishwashers are most effective and efficient when they are full, explains Alan Henry of Lifehacker. Save yourself some money by only using your dishwasher when you have a full load. In addition, it’s best to only run your dishwasher once a day during off-peak hours. If you are looking to add a dishwasher to your home, check out this guide. If you’re looking to cut energy costs in any way you possibly can consider opening the door on the dishwasher to let your dishes air dry instead of using the drying cycle. The open door method may take longer, but it’s shaving money off your power bill. Opening the fridge door repeatedly is costing you unnecessary money. In fact, every time you open the fridge door it adds up to seven percent of its total energy use, says Selene Aparicio of Good Housekeeping. Try to gather everything you need out of the fridge in as few of trips as possible. Leaving appliances on standby mode is costing you money. A microwave that’s left plugged in, says Trent Hamm of the Simple Dollar, can cost you about 24 cents a month. It might seem like a very small amount, but it adds up over time. The simple act of cleaning your refrigerator’s condenser coil can make it run far more efficiently. This will shave money off of your electric bill. Energy Star fridges typically have compressors that are more energy efficient than conventional fridge models. In addition, they have better insulation and temperature controls. Energy Star refrigerators can pay for themselves in as short a time as two years, says Peter Yost of Green Building Advisor. Damaged fridge/freezer seals can lead to increased running costs for those appliances, which you’ll see reflected in your power bill, points out the writers of The Guardian. To prevent this from happening, check the seals on these appliances to ensure they’re still working as they should. Both your freezer and your fridge are at their most efficient when they’re full. Keeping them well stocked can save you money when it comes to how much power they use. As mentioned earlier in regards to refrigerators, using Energy Star rated appliances will lead to considerable savings in the electricity department. Always check to see if an appliance is Energy Star rated before you purchase it. Countdown timer light switches allow you to set a timer when you enter a room. Once that timer runs out, the light switches off. As Leah Bolden of See Jane Drill explains, this eliminates the problem of having light switches left on when nobody is in the room, and also eliminates the unnecessary power usage. As discussed earlier, appliances are using power even while in standby mode. If you plug them into a smart timer strip, you can set the timer so that the power supply is cut off at a certain time when they’re not in use. If you don’t have a smart timer strip, you can simply unplug your appliances when you’re done using them. Appliance recycling rebates are definitely something to take advantage of. Instead of tossing out your old fridge, recycle it and get a rebate to put toward a new one. The water filter on your fridge is meant to keep harmful bacteria and chemicals out of the water. If the filter becomes clogged, it not only affects the quality of the water but can affect the way the appliance runs. To make sure it’s operating at its most efficient, be sure to keep the filter in good condition. A moisture sensor allows your dryer to automatically shut off once it senses the clothes are dry instead of running for the full timed cycle. Check to make sure the sensor is activated on your dryer to prevent unnecessary power drain. Most utility companies charge more for electricity use during peak hours, which is typically from noon to 7:00 p.m., Ashley Niedringhaus of Real Simple points out. To get a discount, simply use your appliances at off-peak hours. 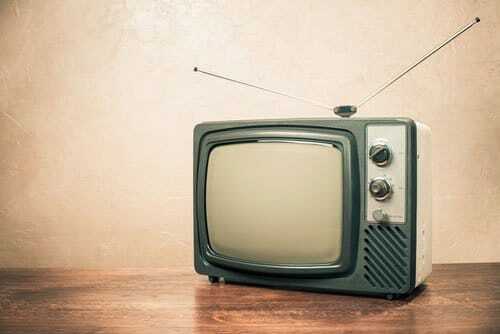 Watching TV consumes unnecessary energy. Families, particularly those with young children, can save money and get more quality time together by opting to do other activities together aside from watching TV. Purchase scanners and printers that either enter sleep mode or turn off automatically when not being used. This eliminates power usage when you’re not actively using them. The Spruce Eats. Consider purchasing one to save yourself money on power bills in the long run. Toaster ovens require less energy to cook than large ovens. If you’re cooking a relatively small amount of food, it will be cheaper to use a toaster oven. If you’re only cooking for one or two people, using smaller portable cooking appliances such as grills or skillets. It’s just as efficient but uses far less power. A microwave uses about half the energy of a conventional oven. Using the microwave instead of the oven to cook your meals will save you money on your power bill. In order to ensure your freezer is running as efficiently as possible, says Erin Huffstetler of The Spruce, it’s important to regularly defrost it. The more frost build-up there is, the more electricity the freezer requires to operate. The standard rule of thumb is to defrost it once the frost build-up reaches a thickness of a quarter inch. Putting your fridge or freezer in warm areas will mean that it has to consume more energy to do its job. Make sure to set it away from the stove or any windows in order to prevent this. You can make your fridge far more efficient by turning off its ice maker. As Robin Shreeves of Earth Matters describes, the ice maker can account for 12 to 20 percent of a refrigerator’s energy consumption. Turning off the ice maker will spare you that unnecessary cost. Before you purchase a new fridge, make sure to make your decision based on the actual needs of your household. If you purchase one that’s too big with extras you don’t need, you’ll be wasting energy. To maximize your dishwasher’s efficiency, be sure to scrape excess food off plates. Once that’s done, rinse them off and then load them. If you don’t regularly clean your dishwasher filter, it can clog the drain, says Kimberly Janeway of Consumer Reports. While this can lead to overflow, it also impacts the dishwashers efficiency. Clean the filter regularly to keep it running at max efficiency. Uncovered food can lead to condensation, which makes your fridge work harder. Make sure any foods or drinks you put in the fridge are covered to prevent condensation. If you’ve got some drafty windows or doors in your house, save money by making your own draft blocker. Fill a tube sock with rice and twist the open end closed. Place the heavyweight at the base of your doors or windows where cold air tends to slip in. The weighted sock will block the cold air from coming in, causing your furnace to run less often and resulting in lower heating costs. Placing hot food in the fridge will make it work harder to keep cool. It’s safe to let food sit out for two hours before it needs refrigeration, says the Washington State Department of Health, so allow your food to cool for that amount of time before you put it in the fridge. If you’re keen on conserving water and energy, it might be a good idea to buy a front loading washing machine, as they use two-thirds less water than top loading machines. Refrigerators use quite a bit of electricity, and if you’ve got more than one your power bill is going to be a lot higher than it needs to be. To cut back on that expense, limit your household to one refrigerator only. Your fridge doesn’t actually need to be on the coldest setting, and putting it there only uses extra energy. Dial it back a bit and your food will still be cold, but your fridge will be using far less energy. For the same reason, it’s a good idea to keep your freezer compartment set at 50 degrees. If you have cold feet often during the colder months, adapt by wearing warm wool hiking socks instead of reaching for the thermostat. Warm feet can actually take the edge off of feeling cold, which means your furnace won’t have to work as often. In addition to using far less energy than other conventional cooking methods, crockpots also don’t emit a great deal of heat while in use. If you want to keep your house as cool as possible in the hottest months, use a crockpot for all your cooking. This is a pretty simple way to ensure you’re heating costs don’t spike in the colder months. The best time to lower your thermostat is when you are at home and awake, as you can take certain measures to make yourself warmer (wear warmer clothing, put on slippers, use blankets). The easiest way to spot which parts of your house are leaking heat, says Drew Prindle of Digital trends, is to use an infrared thermometer. Simply pointing the device at an area will give you an indication of whether it’s losing heat or not. Take time to use the thermometer on windows, walls, and ceilings in particular. If you suspect that you’re losing heat in the attic, check for the telltale sign: insulation that is darker in some areas than in others is an indication of air filtering out of the house. The main reason to replace your old thermostat with a newer programmable one is to save money on your heating bill. As Erin Doman of Compact Appliance points out, programmable thermostats let you maximize your heating efficiency while cutting down on the cost. If the seal around your damper flue isn’t as snug as it needs to be, it means you may either be losing heated air from your home or allowing cool air into your home. This will lead to increased heating costs. South facing windows let in a lot of sunlight during the winter, so open your curtains during the day for some free heat. Close the curtains once the sun goes down in order to trap that heat inside. If you want to cut down on your heating bill as much as possible, only heat the rooms you use. This will eliminate unnecessary power usage. Installing energy efficient blinds can make a huge difference in how much power your household uses. Cellular shades are especially efficient, according to the Department of Energy, as they can reduce the heat loss through windows by nearly 40 percent. If you have operable blinds, try to keep them open in the winter in order to allow sunlight and heat into your home. As with any appliance, it’s important that your heating system is properly maintained in order for it to maintain its efficiency. To that end, be sure to schedule routine service for it. Without any kind of covering on your windows, your house may be losing up to 25 percent of its heated air. To prevent this, use energy efficient thermal curtains. They will stop heat from transferring out of your house, in addition to dampening noise and blocking light. A natural gas heating system is a cheaper option than those that use other fuels. If you’re looking for a far more efficient method of heating your home, it only makes sense to consider implementing a gas system. Energy savings could be seeping right out your front door in the form of leaking air. Routinely checking your weatherstrips and replacing them when they need it will save you money on energy costs. Using a space heater to heat the room you’re in when you’re home is a far more cost-effective option than heating your entire house all the time. You’ll be able to control the temperature in the room without wasting energy to warm the rest of the house at the same time. Pellet stoves heat your home by using small pellets made of sawdust. They burn cleaner and are quite efficient, saving you money on heating costs. They are also powerful enough to heat many medium sized modern homes, says the Department of Energy. Take the time to regularly dust and vacuum your radiators. A build-up of grime can keep them working properly and can reduce the flow of the hot air. Also, be sure to check the vent hose to get rid of any obstructions. If you’re expecting company, turn down the thermostat shortly before they get there. Everyone’s combined body heat will keep the room warm on its own. A chimney that’s in need of repair could be negatively affecting the way your house retains heat, leading to unnecessary increases in your heating bill. In order to avoid that, be sure to inspect your chimney every year before winter and repair it if necessary. A dehumidifier can help reduce the energy consumption of your main cooling system by allowing you to control the humidity level in your household. Lower humidity makes a home feel cooler and more comfortable. If you live in a hot, dry climate, consider using an evaporative cooler as a cheaper cooling alternative. Evaporative coolers don’t recirculate the air they cool like air conditioners do and what’s more, they use only one quarter the amount of energy, reports the Department of Energy. In the hotter seasons, try cross-ventilating your house instead of running your air conditioner all the time. Opening windows that are across from each other will create cross-ventilation, letting a refreshing breeze flow through your home. It’s important to make sure your chimney damper is closed during the summer months. An open damper allows air from outside to draft into your home, which can negate the cooling of your air conditioning system. This is a money saving tip many people don’t consider. Turning your water heater temperature down by 10 degrees can save you anywhere from $6 to $20 a year, reports Trent Hamm of the Simple Dollar. When you want more heat in your home, it’s best to raise it gradually. Raising the temperature quickly activates the heat strip, which uses more energy. If you have a water heater that is getting up there in age, consider adding an insulating blanket to it. This could cut standby heat losses by 25 to 45 percent and can save you as much as 4 to 9 percent on your overall heating costs. Installing an insulated garage door will prevent the loss of cool/hot air. Try to choose an energy efficient garage door, says Thomas Mello of The Spruce, as they can keep your garage about 24 degrees cooler in the summer months and 12 degrees warmer in the winter (providing the rest of your garage is adequately insulated). If you have a lot of older windows in your home, consider applying plastic shrink wrap to them. As the staff of the Fairbanks Daily News-Miner explains, adding plastic film is nearly the same as adding another pane to the window. To stop air from leaking in or out of your home, be sure to caulk your windows if they’re in need of it. For doors, it’s important to ensure you have weatherstripping, particularly in colder climates and seasons. Check to see if the gap between your door and the floor is too wide by trying to slide a piece of paper underneath (you can do the same between the door and the frame, too). If you can slip the paper through, the gaps are too wide, which means that your house is losing heated air. Tankless water heaters consume less energy because they create hot water on demand and don’t use electricity while on standby. According to the Department of Energy, a household that uses 41 gallons (or less) of water on a daily basis can experience savings in energy by anywhere from 27 to 50 percent. A hybrid water heater works by absorbing heat from its surroundings and transferring it to the water stored in its tank. Transferring heat this way is far more energy efficient than traditional water heaters and even tankless water heaters. Allowing sediment to build up in your hot water heater can lead to a decrease in its efficiency. Get rid of the sediment by using the drain valve on the side of your hot water heater at least twice a year. This may sound a little weird, but it works, and it can save you from having to turn off your heating in the fall or spring. Simply place glasses or mason jars full of water in a line along your window sills. During the day, sunlight will heat the water which in turn will gently heat any air that transfers through your window at night. A dishwasher uses electricity even in standby mode. To prevent this unnecessary usage, be sure to turn it off as soon as the washing cycle is done. Using the heat dry option on your dishwasher consumes around 15 percent more energy than simply letting them air dry, says Tara Kimball of Hunker. To remove that unnecessary cost from your power bill, just let your dishes air dry. Food will cook quicker if you’re using a lid. Cut down on energy usage by using a lid if the recipe allows for it. If you’re boiling water for only one person, don’t fill the kettle as it will use excess energy to boil all that water. Instead, just fill it with as much water as you need. You don’t need to fill the pot to the brim when cooking vegetables. The more water you use, the more energy is needed to heat the water. Instead, just use enough water to cover them. Thawing your food not only saves you time when cooking, it also saves you money. Thawed food takes far less time to cook than food that is still partially frozen. Glass cookware cooks more efficiently than other types, such as aluminum. You can cut down on energy usage by replacing your inefficient cookware with glass. There’s no need to leave the stove on the entire cooking time and what’s more, it’s unnecessary energy waste. Instead, just turn off the stove shortly before your food is done and let reserve heat finish the job. As Cristina Corvino of the Rachel Ray Show explains, opening the oven door while cooking allows up to 50 percent of the heat escape. This not only sets back your cooking time, it also means the oven will use more energy to make up for that heat loss. The oven timer is there for a reason, so rely on it to tell you when your food is done! Broilers require far more energy than other methods of cooking. Try to avoid using one if you’re looking to cut down on power costs. Crockpots/slowcookers consume far less energy than other conventional cooking methods to cook, explains the writing staff of Kitchen Cookings. Cooking one meal in the oven uses considerably more energy than cooking that same meal in a slowcooker. Modern pressure cookers can reduce your energy consumption through cooking by nearly 70 percent, says the experts of Fast Cooking. What’s more, pressure cookers cook food faster than other conventional cooking methods. High efficiency faucet aerators can save you an estimated $110 a year, explains Carl Samuelson of Clean Energy Resource Teams. They not only make your household greener, but they can also reduce your power bill significantly. Copper is an excellent conductor, which means that heat spreads more quickly and more evenly throughout copper-bottomed cookware than it does in other types. There’s also less danger of scorching as temperature is more easily regulated. As a result, this kind of cookware requires less energy to cook with and also keeps food warmer for longer. Try and match the right size pot or pan to the size of the burner. Putting a smaller pot on a big burner is just a waste of electricity. Cooking more than one meal at a time is both a time and energy saver. If you’re boiling water in a saucepan, use a lid. This will make the water boil faster, cutting down on the amount of energy used. These types of cookware cook food faster than other types and also hold heat better, which means that you won’t have to run your oven for as long as you usually would. If your diet consists of food that doesn’t need to be cooked or heated, you’ll be saving a lot of energy. Cooking indoors raises the temperature, which in turn makes your cooling system kick in more often. To avoid that unnecessary use of energy, take advantage of the warmer weather to frequently cook outside. To avoid the problem in the aforementioned point, you can also make a point to cook when it’s cooler outside (early morning or late evening) to cut down on energy costs. Central gas heating is about three to four times cheaper than electric heating, points out the writers of The Green Age. Making the switch to central from electric could see you considerable savings when it comes to heating your home. Setting your oven on self-cleaning mode is another way to add heat to your home. Whenever you cook with the oven, the bricks will absorb the heat. Once you’re done cooking, just leave your oven door open a bit and the heat the bricks absorbed will be released slowly into your house. If you don’t have any fire bricks, you can use a pizza stone the same way. Please use caution with this heating method if there are children in your household. Similar to our tip about the fire bricks, you can leave the oven door open after you’re done cooking to add some extra heat to your home for no extra charge. Again, practice caution when doing this if there are inquisitive children or pets around. The further the distance between the kitchen and hot water heater, the more energy is wasted. If at all possible, try to make sure the distance between the two is relatively close. To lower your utility bill, install a timer on your water heater so that it will switch off when not in use or when you are away. As U.S. Department of Energy explains, insulating your hot water pipes can lead to energy savings. Doing this will both minimize heat loss and can even raise the water temperature by two to four degrees hotter than uninsulated pipes, allowing you to lower the water heater temperature. Low flow restrictor shower heads decrease the amount of water that comes through while at the same time increase the pressure of the water. They can considerably reduce the amount of energy your water heater consumes. Nearly 90 percent of the energy a washing machine consumes is used for heating water, says the experts of the Alliance to Save Energy. It is far more efficient to run your clothes through on a cold water cycle. It will get your clothing just as clean for a fraction of the cost. While there may be a considerable upfront cost, switching over to an energy efficient water heater model can pay itself back in a few years time, the professionals of Smarter House point out. A water heater that is too small for the size of your household will consistently run out of hot water, while one that is too large will be costing you unnecessary money. Do your research before purchasing in order to select one that is the correct size. A natural gas water heater heats water faster than an electric water heater, particularly during periods of heavy usage. Gas water heaters are typically more expensive to purchase, describes the editorial staff of House Logic, but can pay for themselves in a period of about a year. Doing this can save you money as your water heater won’t be consuming unnecessary energy. Once you get home, turn the temperature back up. Leaving your hot water heater off until about 20 minutes before you shower will save you money and still provide you with enough hot water to get the job done. For extra efficiency, turn the heater off after you’re done showering. As Stacy Johnson of Money Talks News points out, LED light bulbs are 40 percent more incandescent and use 75 percent less electricity than regular bulbs. Switching over to LED lighting will give you some impressive savings when it comes to your power bill. A ceiling fan can help lower the cost of heating and cooling. Be sure to use one all year round to reduce the operating costs of your heating and cooling systems. If you don’t need the exhaust fan, don’t use it. Since it’s common for people to forget to switch off a bathroom fan when they leave the room, it’s a good idea to install a wind-up timer instead of a switch. This will ensure the fan shuts off on its own. There’s no point in wasting power unnecessarily by leaving lights on in rooms that are unoccupied. Switch off lights as you leave an area. While not always applicable, the lower the wattage, the less electricity being used. If it’s convenient, use the lowest wattage incandescent bulbs in order to save money. It only make sense from a financial standpoint to light-zone your home. This involves concentrating lighting in areas frequently used for reading, crafts, work, and safety. Reduce lighting in seldom-used areas. Certain apps, such as kill-ur-watts, will help you keep track of how much electricity your household uses. In addition, they can give you helpful energy saving tips, resources, and advice. Using dimmer switches can prolong the lifespan of your lightbulbs, explains the staff of The Green Age. In addition, it can allow you to regulate energy use from room to room. Make sure the vents are clean and working as they should be in order to reduce back pressure. This will make them far more efficient. Implementing these will ensure that the lights both inside and outside your house only switch on when needed. This will lead to savings on your power bill. Painting your walls with this type of paint will lead to light reflection. This will provide you with enough light to let you use lower wattage bulbs. In most cases, the TV will put out enough illumination for you to be able to comfortably walk around. In lieu of ceiling lights, make use of desk/table lamps, track lighting, and under-counter lights in work and hobby areas, such as the kitchen. Task lighting is an energy efficient lighting design encouraged by the Department of Energy. Skylights, which allow considerable amounts of natural sunlight into your home, are a great alternative to using ceiling lights. Whenever possible, forego switching on lights in favor of basking in sunlight. Whenever possible, it’s a good idea to swap your exterior lights to solar lights. This allows them to function using solar power instead of electricity and can save you money on your power bill. 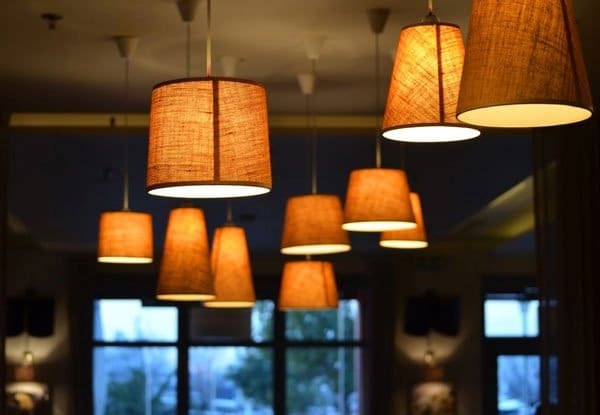 You can improve the efficiency of free-standing lights if you install light-colored lampshades and placing the lamps in a corner, where they were reflect the light from two walls instead of just one (especially if there is bright wallpaper). As the U.S. Department of Energy points out, halogen incandescent bulbs typically use between 25 – 80 percent less energy than traditional bulbs do. If you’re looking to save money on your power bill, using halogen bulbs for both internal and external lights is a smart choice. This is especially true if you plan on installing an external security lighting system. Lamps with 3-way switches are an efficient lighting choice because you can set the lamp to the lowest setting while doing things like watching TV or browsing the Internet. Use CFL and LED Energy Star rated light bulbs. They are a smart choice because they only require 20 to 25 percent less electricity to work than traditional light bulbs do. 90 percent of the energy incandescent bulbs give off is heat, and it’s only the remaining 10 percent that is actually light. To save on energy consumption, be sure to switch these lights off whenever you leave a room. During the winter, change the direction of your ceiling fans. This will cause them to blow hot air downward. If your home feels stuffy and hot in the summer, you can try to push the hot air out of your house using a box fan. Place it facing outward in one open window and it’ll push the hot air out, cooling down the room. Now it’s your turn to save some money or energy. What are your tips? We would love to know. Please leave a comment below with your favorite energy saving tips! No problem, hope you found them useful!